Incredible selection of brand new multigame arcade machines with all the great retro classics. Fantastic variety of machines, all with free delivery, backed by award-winning service. Our fantastic ArcadePro arcade machines are hand-made by craftsmen to a very high specification, and are exclusive to Home Leisure Direct. We are passionate about retro gaming, and reliving the classic arcade games of the past. The incredible ArcadePro range includes machines to cater to all needs, including the Mercury 1299 TV console which plugs into a standard HDMI-enabled television and has a compact size for space-saving, as well as larger machines such as the beautiful Andromeda 5794, which can comfortably sit two players side-by-side for classic arcade action. All of our ArcadePro arcade machines include a great variety of some of the best loved classic arcade games, which look fantastic on the modern screens. Whether you just want a selection of essentials or you want to have thousands of games all available on the same machine, our range covers all of your needs. These machines are great fun for all ages; whether playing them for nostalgic reasons, or discovering them for the first time, they are still as enjoyable and as addictive as ever. Titles such as Centipede, Donkey Kong, Donkey Kong Jr., Frogger, Galaga, Pacman, Ms. Pacman and Space Invaders are classic arcade games which can be enjoyed by all, and have never looked better than they do on our ArcadePro range. For a full list of games, take a look at the product listings for each model. If there are any particular games you are looking for then check out the various lists of titles in each product listing and you're sure to find the ones you want. ArcadePro machines are hand-made to the highest standards, using the best quality materials. We aim to provide you with the very best modern arcade machines, influenced by classic arcade cabinets but taking advantage of the latest hardware developments. The ArcadePro arcade machine range includes a variety of fantastic machines: we have cocktail machines, built to replicate classic sitdown cocktail arcades such as those often found in pubs; stand-up arcade cabinets which emulate the look of different machines from the classic era of arcades; the Mercury TV console which gives you arcade games and controls on your own television, and more. Classic arcade games are more popular then ever, with a whole new generation of players discovering the classics for the first time. They are really popular among older players for nostalgic reasons, but also great fun for younger players because the games are so exhilarating and so addictive! ArcadePro machines use competition grade components, including top specification joysticks, which have fantastic build quailty and precision response. The fire buttons are all genuine arcade grade pieces, designed to last for years even when used by the most competitive of players. All our machines have the relevant safety ratings and are fitted with UK specific parts and power supplies, for the utmost reliability and superior performance. The ArcadePro range of arcade machines has been developed by experts exclusively for Home Leisure Direct. Our staff have years of arcade experience between us, so we created the ArcadePro range to cover all tastes and needs, meaning any arcade fan will find something to tempt them. 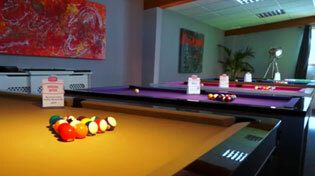 We have the entire ArcadePro range on display in our showroom. Come and try them out for yourselves, play some of your favourite classic arcade games, and even take on one of our staff head-to-head! We keep a great range of ArcadePro arcade machines in stock at all times. Once your order has been received, your arcade machine will be delivered in 3 to 7 working days. Please note that all timings are approximations. For further advice on our retro arcade range please contact a member of the team free on 0800 622 6464 for friendly, helpful and knowledgeable advice. Our sales team willl be happy to answer any of your questions on our ArcadePro range, or any of our other games room products.